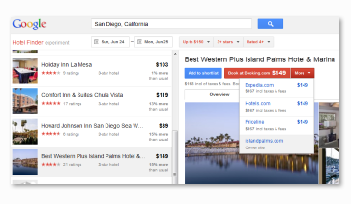 Give your customers the opportunity to book your hotel Direct from Google! 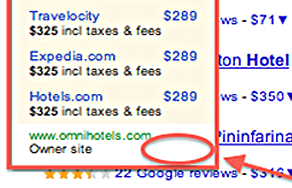 Are you showing your direct hotel pricing and availability within a Google search? Until January 2012, this was only available via big CRS/GDS platforms. This program is now accessible to hoteliers of every size. We enable you to list your hotel prices and availability next to search results for hotels on Google, Google Maps, Google+ Local and Google Hotel Finder.